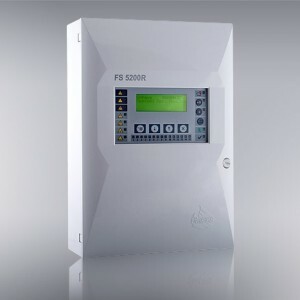 Fire control panel FS4000 is designed to operate with conventional automatic fire detectors and manual call points. The panel has outputs provided for external executive devices. – Control over fire alarm lines and controllable outputs for fault conditions (short circuit and interruption) and automatic reset. 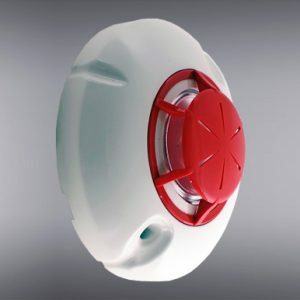 – Detection of removed fire detector and automatic reset. – Identification of manual call points. – LED indication for alarm state and emergency. – Delay of outputs for fire condition with time period of 1, 2, 3, 4, 5, 6 or 7 minutes after fire condition is registered. – Option for ‘LOGICAL AND’ realization of two fire alarm lines. – Duty Mode condition with direct activation of Fire Condition 2nd Stage ” for two fire alarm lines. – Status Indication of the device for data transmission RS485. – Option for switching on/off interface RS485 communication. 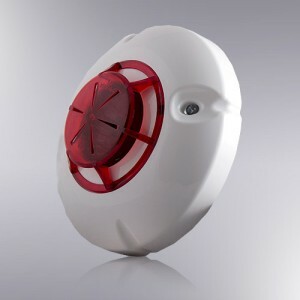 – Built-in sounder for fire condition – one tonal, continuous, can be switched off. 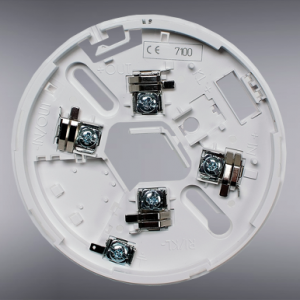 – Built-in sounder for fault condition – one tonal, discontinuous, can be switched off. – Test mode for fire alarm lines. – Disabling fire alarm lines. – Disabling outputs for fire condition. – Expanding the options by means of extra relay outputs for fire condition for each line and built-in RS485 for operation in a local network. 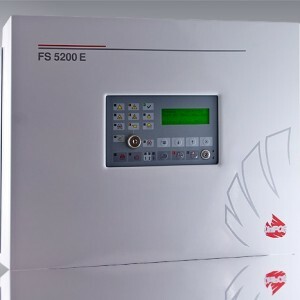 Module FD 4201 expands the options of fire control panel FS4000. – Control of a relay output for each line that is in Fire condition. The module could work only with the latest version of the fire control panel FS4000 (fire control panels with serial numbers after 4000). 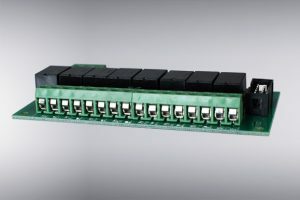 It is manufactured in 4 variants corresponding to the nomenclature of the produced fire control panels FS4000, with 2, 4, 6 or 8 lines, respectively with 2, 4, 6 or 8 relay outputs. 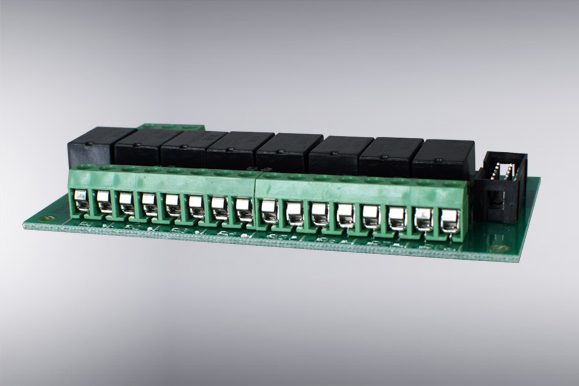 Interface RS485 is an integral part of the module and it is offered in all variants. 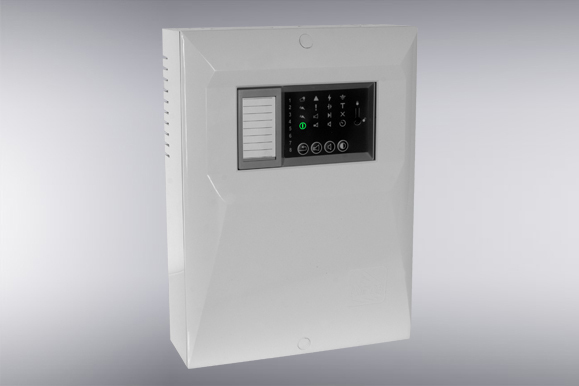 – Potential free relays for Fire condition (one to each line of the fire control panel FS4000). 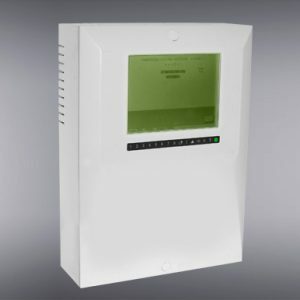 The communication between the fire control panel and the extension module FD 4201 is executed via a ribbon cable, connecting the fire control panel and the unit. The module is power supplied along the ribbon cable. – Data exchange speed: fixed – 9600 bits/s. Pleven, Bulgaria, 47 San Stefano Str. 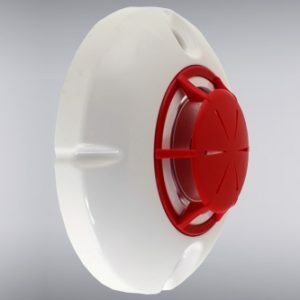 Since 1995 UniPOS is a designer and manufacturer of fire alarm equipment. The first step – establishment of the private company is followed by significant achievements that trace out the road to the future.